Wee Blue Swirls: I love Snowmen! Guess what...I've got another Christmas card to share with you. I made this one a few days ago but I just haven't had the time to post it until now! I love this stamp from LOTV..... actually I love all of their stamps and own ALOT of them. 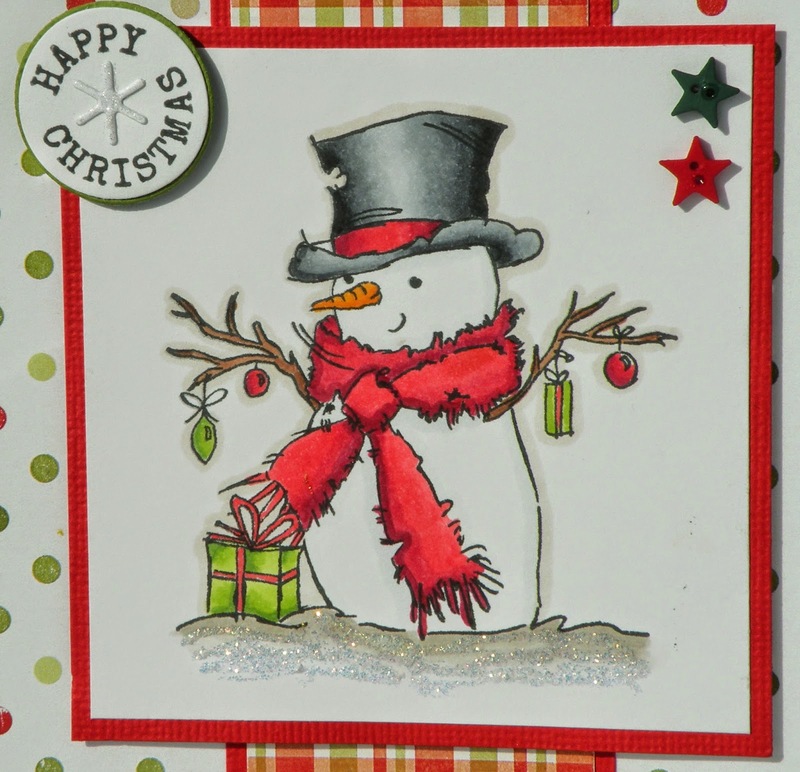 This one is an oldie but a goodie and is called Mr Snowman. I paired up Mr Snowman with some old Echo Park This and That Christmas papers. The sentiment is also from LOTV and one of many everyday stamps in the Greeting Postmarks collection. The small snowflake in the centre of the sentiment is highlighted with Wink of Stella Clear Pen, but you can not really pick this up from the photo. Your card has a wonderful traditional feel to it Andrea and so very pretty. I love the DP you have used, the glittering snow does look fab. Thanks for joining us at ATSM. 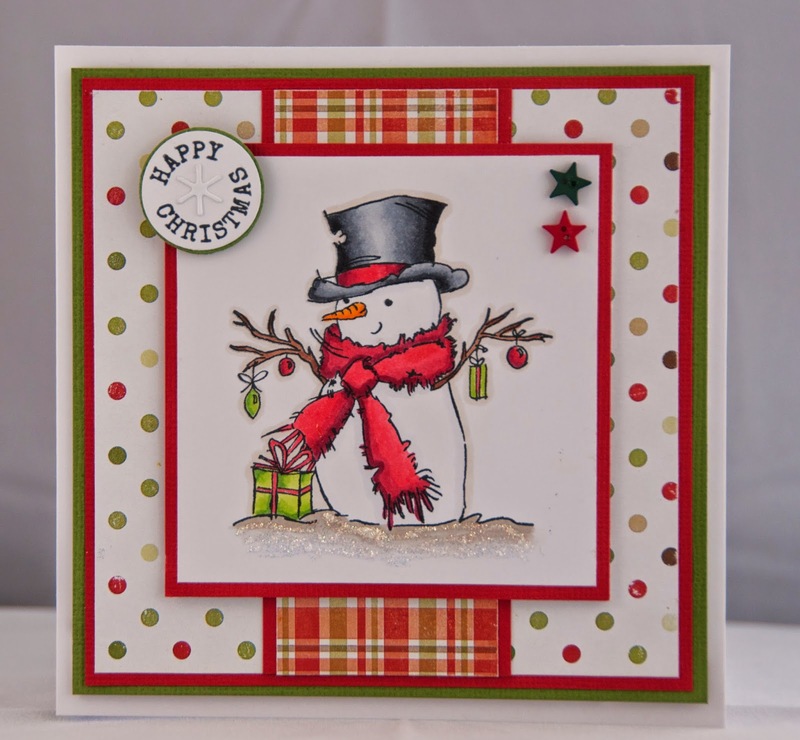 Adorable little snowman...love the polka dot paper too! So happy you could join us at ATS&M! Sweet and adorable Christmas perfection - this card is great! Thanks for joining us this week at Addicted to Stamps and More! Beautiful card Andrea, thanks for entering our challenge this month.